How you can help JamesMurua.com achieve its goals. Please RT. Here’s how you can help JamesMurua.com be a more self-sufficient product. In the last half decade, JamesMurua.com has built a niche in African literature. We cover the scene from all over the continent giving news and reviews from all over our rock on an almost daily basis. The idea is to build a space where the African literary industry has a regularly updated space on the Internet. This ambitious project has seen our blog nominated as Kenya’s best creative writing blog and a mailing list of thousands. While we love this work, it can be very demanding with very little returns for the blogger. This means that he has to take time away from this work to try and earn enough monies to keep the light on. If you find this blog useful, there are ways that you can help either fiscally or otherwise that don’t involve us doing different work. Here are some of the ways you can help. If you have a product that might be of interest to our subscribers please contact us and advertise with us. A banner at the top of this blog will cost you US$700 per month. This kind of blog will always do best if you share it with those who might be interested in the content. If you see any posts your friends might be interested in please share them on social media. Every little bit of social media juice helps us getting more self-sufficient. If you are doing an event featuring African writers, please invite us and we will be happy to come through either to talk about our passion for African literature or cover it for our blog. It is important that you give us transport and accommodation to your event if it is away from our Nairobi, Kenya base. We will ask that you give us a nominal per diem for our time while we are at your events to cover our cost of leaving town. 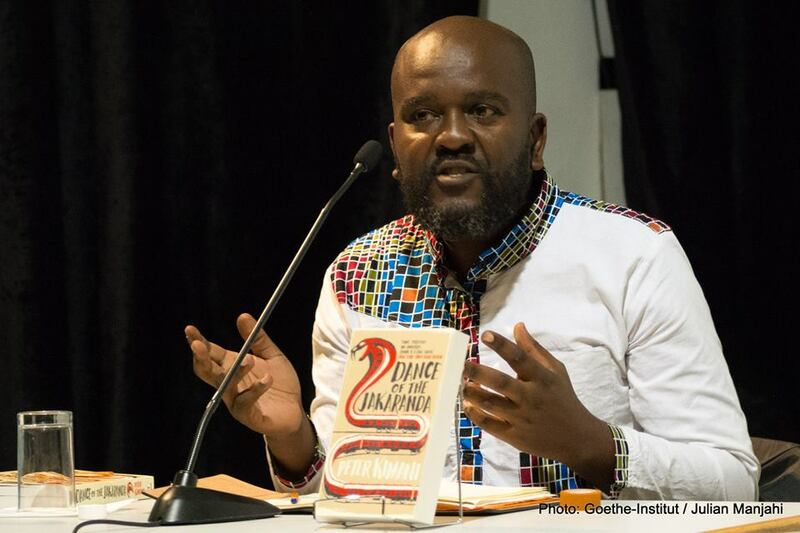 It’s impossible for any one person to keep up with what is happening in the dynamic African literary scene. If you have information that you feel can help my Pan African readers please get in touch. We do not charge to post up content but we reserve judgement on what goes up. Our readers demand high quality and we strive to deliver. Content is news on new books or book events and NOT your manuscripts and/or short stories for review. You can join the over 15,000 strong mailing list to ensure that you keep getting news on the African literary scene. It will help us while making the case to possible advertisers of the reach of the blog. There is a tab at the top right of this blog where you can join. Previous Previous post: Mohammed Jaafar, Mansoura Ez-Eldin on Almultaqa Short Story Prize 2018 shortlist. Next Next post: Sharjah International Book Fair 2018: World Book Capital 2019 theme and logo launched.